Whenever I'm in a style rut, it only takes a collection from Ann Demeulemeester to fire my passion once more. Since Sébastien Meunier took over from Ann herself, her protege delivers. Every. Single. Time. I don't know exactly what it is about this label that excites me so much, but every season I find myself scheming and planning ways to purchase something. Maybe it's because I know I will wear it years from now and it will never look dated. which will seamlessly fit with any Ann D pieces you already own, no matter how old. You can refer back to old collections and everything still feels relevant. For Fall 2018 we are served up with a collection that is typical of the label. Draping is mixed with tailoring and accessories are kept tough. 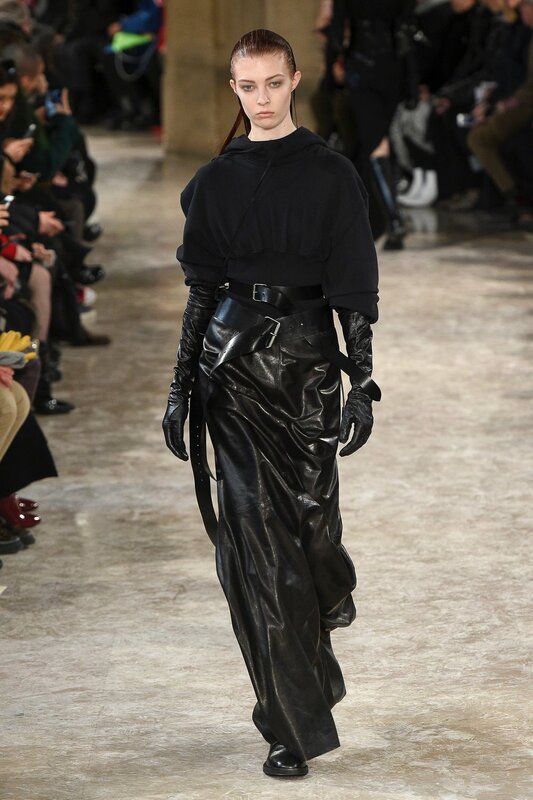 The wide belts here feel like a progression of those in the Fall 2013 collection but even more wearable. 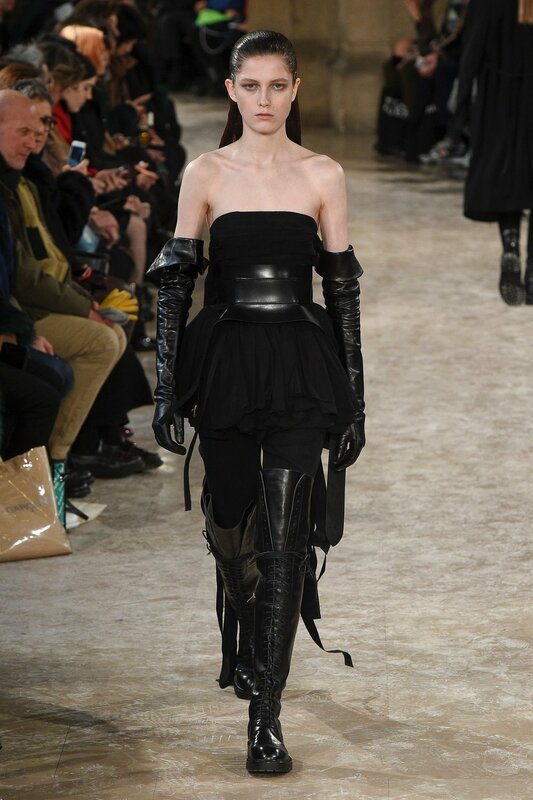 Leather peplums and gauntlets help lift the black silhouette and you know those boots are going to fly off the shelves. The full length leather skirt is all kinds of glorious.